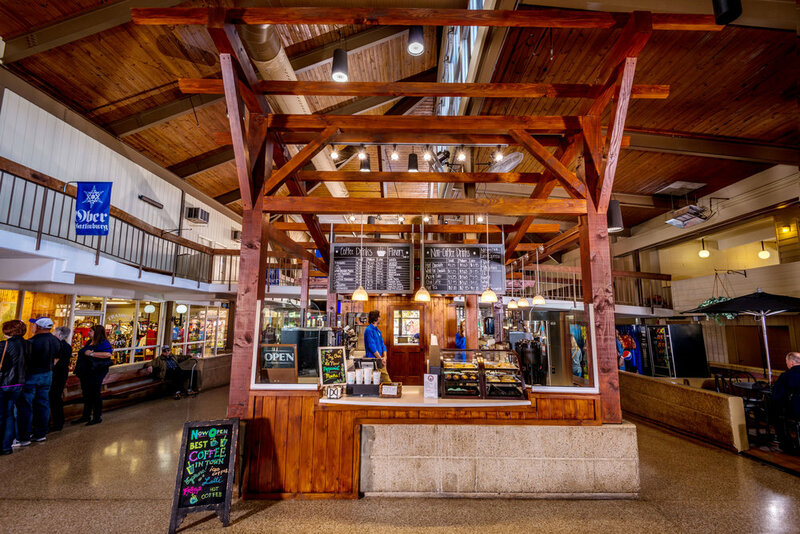 Located in the Tramway Mall of Ober Gatlinburg, Ski Mountain Grind Haus has been serving artisanal coffee drinks since they opened their doors last fall. Whether you're looking for something hot or cold, they have all the favorites available to perk you up for a fun day of adventuring in the Smoky Mountains. Pastries and cookies are baked fresh on location and are a perfect pairing with all of the Mosaic Coffee beverages. Whether you want an espresso or a flavored latté, the Grind Haus has you covered so that you can enjoy your day with your favorite morning drink in hand.